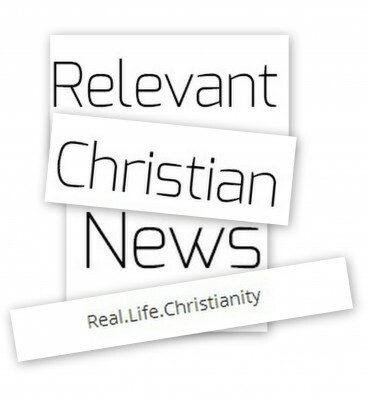 Relevant Christian Celebrates 6 Years! 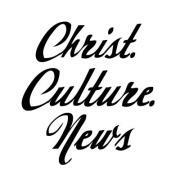 Relevant Christian posted it’s first post on February 26th, 2007 entitled Rebel, or Progressive Thinker?, and at today’s count, have had over 316 posts, well over 261,000 visitors, and 1,890 published comments. The purpose behind Relevant Christian was born out of a growing uneasiness about the state of Christianity, and a desire to start people thinking, or maybe even start a conversation. While it was not our purposeful intention to be controversial, we have at times, definitely succeeded in being so. Our most popular post to date, “What Does the Bible Say About Tattoos?”, has been viewed 115,910 times, and was written by a very good friend and pastor Timmy Gibson. We have had the pleasure of having some great contributors to Relevant Christian, and I would like to say thank you to those who have contributed (no pun intended) to the success of Relevant Christian. …oh yeah….Me and one or two others that I may have neglected to mention…and of course those that have written guest posts from time to time….Thank You! It has been an exciting journey…so far! The point that Jesus is trying to emphasize is a widening concept of the term neighbor. In an overly religious setting the walls of ‘neighbor’ were defined very strictly. Jesus steps in to say that anyone in need, no matter what differences you have, is a neighbor in need of God’s grace and your concern. And this thought has called, encouraged and sent Christian missionaries around the world for hundreds of years. We have concluded (rightly) that anyone in need is our neighbor. We have taken Jesus’ message to heart. But in our zeal to fulfill this call we have forgotten something that is hugely important to Jesus: our actual neighbors. Picture your house, apartment or living quarters. Make a grid like a tic-tac-toe board and put yourself in the center. If each section of the grid were a neighbors house, could you list the eight closest people that live next to you? What else do you know about them? Can you list everyone in the house? Are they more than casual acquaintances; would you actually consider them friends? The times I’ve done this have shown that less than 50% of people can name a majority of people around them and very few can name all eight. The speaker this last weekend shared similar results. In our Christian passion to share our faith with the whole world we have forgotten those that live immediately around us. We have become blinded by going to all the world that we have forgotten the immediacy of those around that need to hear about Jesus. This is one reason I push missional theology. It forces us to wrestle with the way we think of “Christian missions.” The job isn’t always ‘to go’ to exotic places and eat different food. Sometimes Christ’s call is to stay and be with those he has put around us. It’s to know about Bill and Brenda. Have them into your home and be more than fence sharers, be real neighbors. Love them into the Kingdom. “In the same way, the Lord has commanded that those who preach the gospel should receive their living from the gospel. But I have not used any of these rights. And I am not writing this in the hope that you will do such things for me. I would rather die than have anyone deprive me of this boast. Yet when I preach the gospel, I cannot boast, for I am compelled to preach. Woe to me if I do not preach the gospel! If I preach voluntarily, I have a reward; if not voluntarily, I am simply discharging the trust committed to me. What then is my reward? Just this: that in preaching the gospel I may offer it free of charge, and so not make use of my rights in preaching it” (1 Corinthians 9:7-18). My second full-time, paid ministry position began when I was 27 and ended when I was 29 and 5 months. I was too young. Someone told me that, a respected person, when I was at a weekend retreat. Ah, sure. Who at the age of 27 wants to be told, let alone admit, that they are too young for something? Many professional athletes are in their prime at 27, it shouldn’t be any different for a paid preacher. I confess that I was not fully prepared for the level of politics that has to be played in a local congregation and in that sense I was too young. I was naive, easily manipulated, impulsive, defensive, and stubborn. There was yet to be developed in me the spirit of faith, the sustenance of grace, and the humility of defenselessness. Those things are developed in the crucible of turmoil. I have said, on more than one occasion, that paid ministry is a different animal altogether. The local paid preacher, at least in my own denomination, carries a great deal of responsibility—far more than is biblically mandated or professionally reasonable. If the preacher is part of a multi-person staff, that responsibility is lessened; if he is solo, it is heightened. In all of the churches I have served, I have been solo with no other paid staff. (Please don’t misinterpret me here: I assure you this is not a complaint, just reality.) This means, ultimately, that the bulk of the work falls on the paid preacher’s shoulders. I was young enough to expect the church to work and encouraged the church to be an ‘every member ministry’. Every member ministry is a myth of epic proportions. The American way is easier: Let’s just pay someone to do it. The paid preacher is chained, literally, to the expectations of those who write his job description and sign his paycheck. He is only relatively free to pursue his gifts and passions. He is on-call 24/7 and is paid for 40. Again, there is no whining here, just brutal facts. The sad truth is that in my experience paid ministry is neither ‘paid’ nor ‘ministry.’ It is something akin to indentured servitude or serfdom if he lives in a parsonage. I don’t think that is an exaggeration. There is the unwritten rule that the preacher can be bothered at any time, for any reason, and by any person. His home phone is published under the words ‘parsonage’ unless he owns his own house. I believe there is a place for our modern concept of ministry and I believe there are some people who are made for it. It and they are called, collectively, The Church, The Body of Christ, The Congregation. The worker, yes, is worth his wage, but I have grown to believe more and more that our modern model for paid ministry is downright unbiblical and unnecessary when the Church functions according to the biblical descriptions and prescriptions. The Bible describes the church as a place where everyone is gifted by God (e.g., 1 Corinthians 12) to accomplish the work He has prepared in advance for us to do (cf. Ephesians). “In those days when the number of disciples was increasing, the Grecian Jews among them complained against the Hebraic Jews because their widows were being overlooked in the daily distribution of food. So the Twelve gathered all the disciples together and said, “It would not be right for us to neglect the ministry of the word of God in order to wait on tables. Brothers, choose seven men from among you who are known to be full of the Spirit and wisdom. We will turn this responsibility over to them and will give our attention to prayer and the ministry of the word. In the absence of apostles dedicated to the preaching and praying, I believe that some are specifically called to such ministry. As Paul wrote in Ephesians Jesus himself apportioned such gifts (such people! ): “It was he who gave some to be apostles, some to be prophets, some to be evangelists, and some to be pastors and teachers, to prepare God’s people for works of service, so that the body of Christ may be built up…” Some people are specifically called and gifted for ‘pastoral’ (visitation) ministry; others are not. Some are specifically called to preaching ministry; most are not. Since very few churches are willing (or able) to pay someone simply for their involvement in the Word and Prayer, the line gets blurred and ‘paid’ preachers become hirelings to do all the work that those gifted in the congregation should do—a truly every member ministry. Instead of all of us taking care of one another, it is the ‘pastor’s’ job. But what I have experienced has led me to a place where I can no longer do ministry precisely because of the paycheck that comes along with it. The paycheck hasn’t freed me for ministry, it has shackled me to the expectations of others and it has prevented the full expenditure of whatever gifts and passions I might have (and probably stagnated my congregation since I seem unable to motivate them at any level). In other words, it has limited ministry. What’s better? Preaching to a few people on Sunday mornings, once per week, for about 30 minutes and hoping that the church building will be the primary place for ‘salt and light’ type of evangelism, and being beholden to the whims of the paycheck? Or being out and about among the ‘lost’ all day, every day, doing good deeds, influencing people directly who are without Christ, preaching as we go, wherever we go, wherever we are led, and being free to do ministry out of love and not obligation? This is the struggle I have been having for a number of years now and it has come to a head in my current ministry. The frustration is born out of the problems I noted above and out of the desire to be free to serve Christ in a more meaningful way because I love and not because I am obligated. I don’t believe it is. Christ has called us to something more as ministers of his Gospel.